If you have Windows 7 or 8.1, you may see an icon on your toolbar allowing you to reserve a spot for upgrading. THE NEXT VERSION of Windows will arrive on the 29th July, but you may have to wait a little longer before you get your hands on it. Microsoft announced it will be rolling out Windows 10 Home and Pro in phases as a way of coping with demand. The first users to get it will be those involved with Windows Insider, a programme which allows people to test out the beta version of Windows 10 and highlighting bugs and problems that may emerge. Currently, there are five million people signed up to this. After that, it will be rolled out to those who reserved a place on the waiting list (the easiest way to do this is to check your toolbar for a Windows icon), where Microsoft will be “slowly scaling up” the number of people who have access to the upgrade. What that means is even if you are on the waiting list, you could be waiting a few more days before you get the chance to download it, and even longer if you’re not. Before the upgrade arrives, it will soon give a build of Windows 10 to manufacturers so they can include it with new devices. Retailers will also get a build which will allow them to upgrade devices that originally ran with Windows 8.1. Upgrading to Windows 10 is free for the first year and is available to those who have devices running Windows 7 or 8.1. 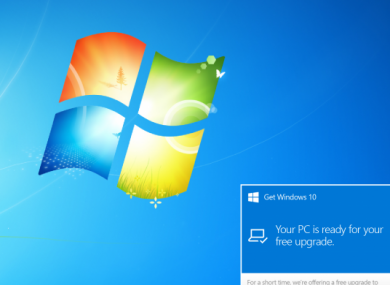 According to Microsoft, the majority of Windows 7 and 8 devices are compatible with the new update. Email “Reserved a copy of Windows 10? You might not get it on the release date”. Feedback on “Reserved a copy of Windows 10? You might not get it on the release date”.